From the author of the acclaimed I Am Having So Much Fun Here Without You, a satirical and moving novel in the spirit of Maria Semple and Jess Walter about a New York City trend forecaster who finds herself wanting to overturn her own predictions, move away from technology, and reclaim her heart. 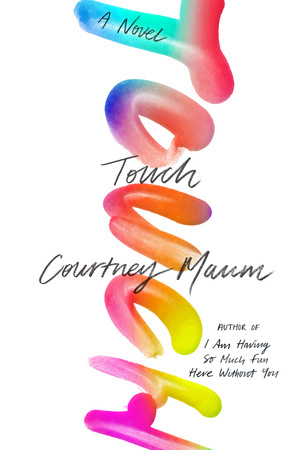 A poignant and amusing call to arms that showcases her signature biting wit and keen eye, celebrated novelist Courtney Maum’s new book is a moving investigation into what it means to be an individual in a globalized world. Download a Review Copy on Edelweiss. What Will You Read for June 2018? Spring and Summer 2019 Drop-Ins! Featuring new novels and nonfiction books from big name and bestselling authors, check out these spring and summer 2019 drop-ins. Click for More Spring and Summer Drop-Ins. And check out some blockbuster titles, including some of Dr. Seuss’s classic children’s books, soon to be available in Spanish translation! Click for Spanish-Language Drop-Ins.